Following three consecutive weeks of declines for the S&P 500®, pundits are asserting that investors have more to fear than simply the Ides of March. As of the market close on Friday the 13th, the S&P 500 had declined 3% in March on a total return basis. Defensive strategies can provide some protection from market fluctuations. Specifically, low volatility strategies thrive in volatile markets. The concept is fairly simple: select stocks that have been historically less risky in an attempt to capture some market upside, while limiting the potential downside. We refer to these as upside and downside captures. 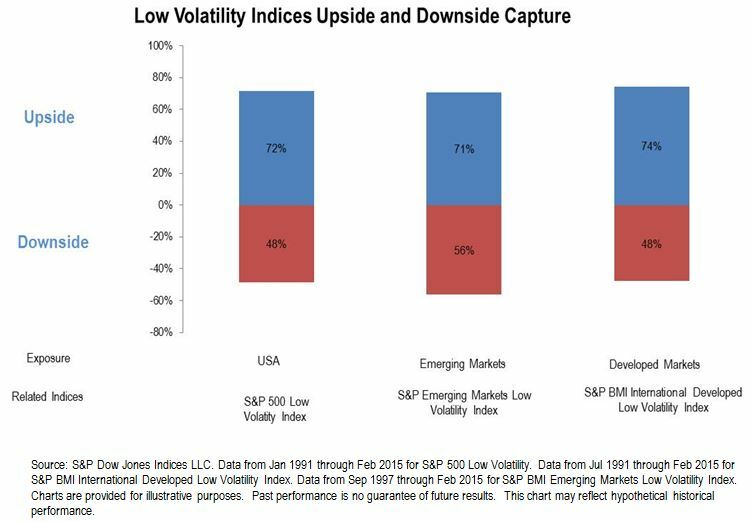 The S&P 500 Low Volatility Index, for example, has managed to capture 72% of the upside of the S&P 500 while only capturing 48% of the downside since 1991. This means that in a period when the S&P 500 gains 10%, the S&P 500 Low Volatility Index may gain about 7%, while in a period when the S&P 500 is down by 10%, the S&P 500 Low Volatility Index would typically decline about 5%. 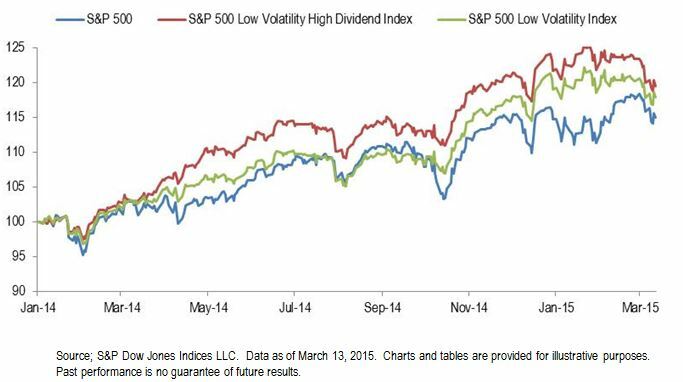 As of the close on March 13, 2015, the S&P 500 Low Volatility Index was down 2% MTD. While it seems counterintuitive, lower volatility strategies have actually outperformed the market over the long term. This is often referred to as the “low volatility anomaly”, and it may be due to downside protection: Investors win by playing defense, or simply by not losing. Low-risk approaches are not as exciting as their high-risk counterparts. They certainly do not enjoy the full rush of market gyrations. When it comes to results, however, consistency is bliss.